I love dandelions. Soft and pretty and sprouting whenever there is a warm summers day. This shot was so difficult to capture. I went through around three dandelions before getting this shot as I was attempting to blow and photograph at the same time. 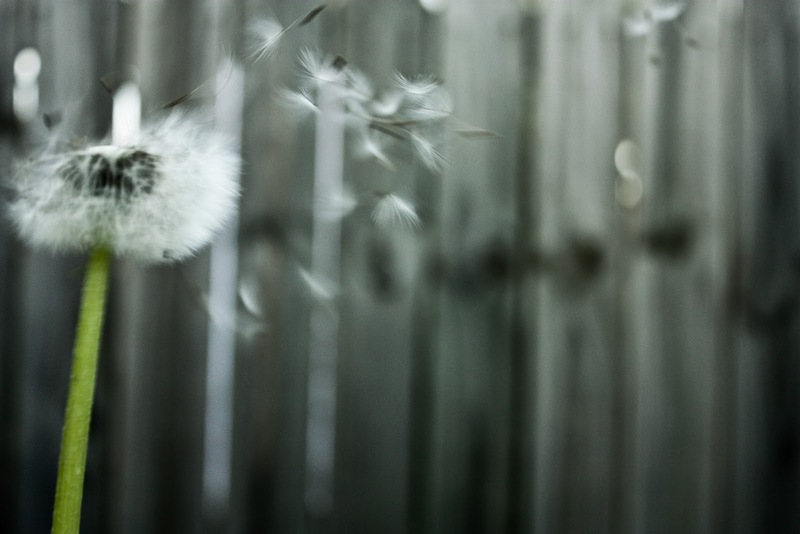 I ended up with nearly 50 photos of blurry fence or face and no dandelion. It was with the aid of a blowing assistant that I finally got some success. The shot is still out of focus but I think it adds to the softness of the photo no?